Well, guys… I haven’t been doing this meme for very long. I’ve only done eleven! 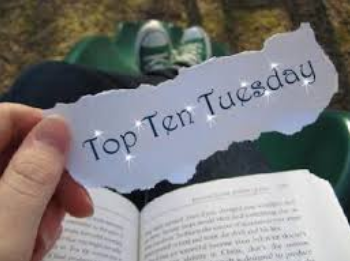 So I will just direct you guys over to our Top Ten Tuesday page to see those. Following the topic, I will look at their list of past topics and decide what I think sounds fun! 🙂 Alright, I’ll see you guys next week! At least enjoy these puppy pics on your way out! A big thanks to anyone who’s still reading this for tolerating my (awful) sense of humor. Have a good one! 😦 😦 I was hoping for at least one of them to come to my place! Thank you for all the puppy pics, I now feel all warm inside and must now hug my dog. So glad to hear it! I hug my dog 24/7… I’m not really sure anymore how much she loves me. Lol. I will check out your TTT! Haha, I understand. Sometimes mine looks at me like I’m crazy. There is nothing wrong with distracting us with puppy pictures! We need more people like you in this world. 😀 Puppy lovers unite!